Hydrotherapy: Light to moderate exercise helps keep stiff joints supple and mobile. The exact exercise requirements depend on the individual pet. Hydrotherapy for dogs and other small animals is ideal because it is a low-impact activity that improves muscle mass without overstressing joints.The gentle movement of the treadmill’s track combined with the soothing buoyancy of the warm water maximizes the therapeutic benefits to your pet. The water treadmill at the Animal Care Clinic in Wilsonville is excellent for treating arthritis in dogs, cats and other small animals. It helps pets recovering from an injury or neurologic issues. It also aids in chronic pain-relief and weight management and it’s a popular option for general fitness training as well. See more at: http://animalcarevets.com/underwater-treadmill-hydrotherapy. Natural Over-The-Counter Treatments: There are a number of over-the-counter supplements that have demonstrated effectiveness in maintaining joint health and relieving inflammation. Examples of these supplements include omega-3 fatty acids, chondroitin, glucosamine, MSM, creatine, and antioxidants. Dasuquin, for example, includes glucosamine, chondroitin sulfate, and ASU together to deliver comprehensive joint health support. Dasuquin products are available at the Wilsonville Animal Care Clinic. 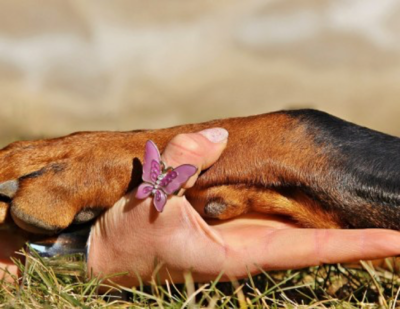 Dog arthritis can reduce your pet’s quality of life. Management of arthritis needs to be multifaceted to be effective. It takes a combination of some or all of the above recommendations to provide relief from the pain and inflammation associated with joint disease. Contact us at Animal Care Clinic – we’ll work with you to generate an arthritis management plan to increase the quality of life for your pet.